Vitae Value Holistics the art of cosmetics. 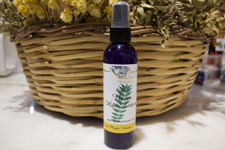 Massaging oils into our hair goes back to ancient times from Egypt and India. Vitae Value selects oils and blends them to create 2 Blends each ideal for each type of hair for use in our hair that is used ½ – 1 hour before you shampoo. These hair oils are rich in Vitamins, Minerals, Micro nutrients and Omega 3, 6 and 9. They nourish your hair imparting health, strength, encouraging growth, elasticity and shine. They are excellent for not only dry hair but even the oiliest hair. Organic cold pressed hair oils.